I have posted on sitting too long in the past. 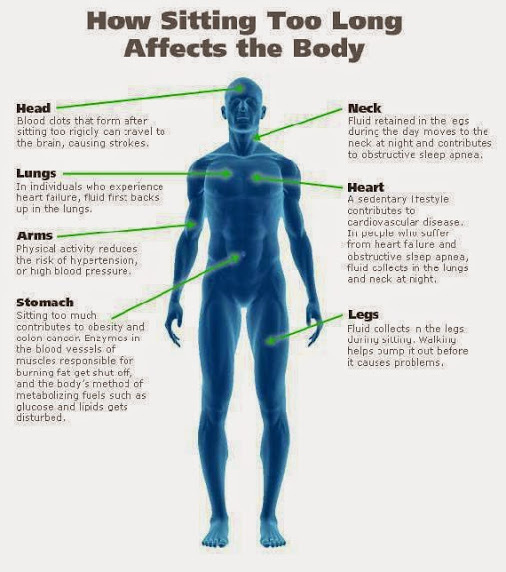 This post specifies the exact region of the body affected. To read further on the hazards of sitting too long, check out Too Much Sitting can be Hazardous to Your Health and Longevity”, Exercising More, Sitting Less Reduces Heart Failure Risk in Men, Sitting Too Much is Killing Us – New York Times, Sitting Is Killing You – Infographic. Wow! Thanks for the heads up. You did a great job. I think it will go well with what I have posted. It certainly amplifies it.